Today I have another example from the Bug Me Stamp Set. 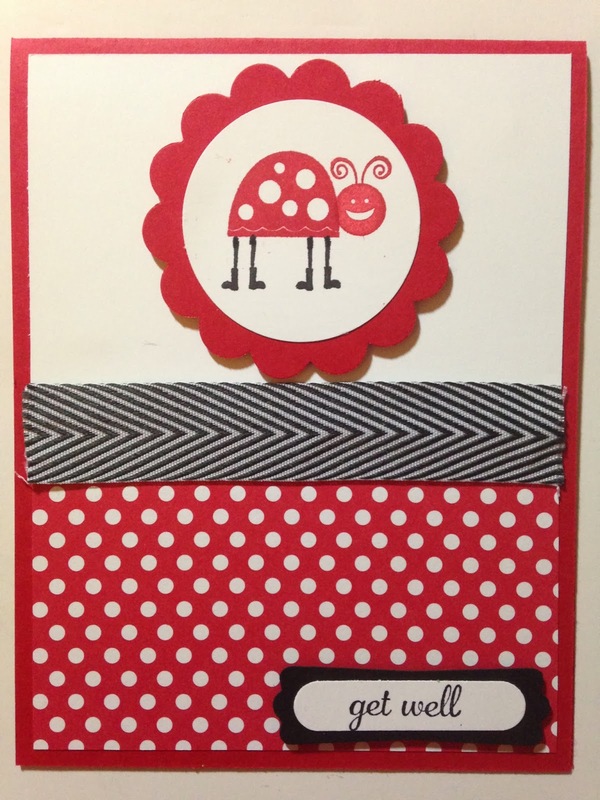 As you can see I used the Polka Dot Parade Designer Series Paper again. If you don't have this DSP, you have to get it! I have gone through so many packs of this paper. Go to my online store and type in #126902 for $10.95. The colors included in this paper pack are: Real Red, Pumpkin Pie, Daffodil Delight, Old Olive, Marina Mist and Rich Razzleberry. Here are your Weekly Deals from Stampin' Up!